NEXT WEEK’S CHANGES to Canada’s marijuana laws are like next week’s local elections. Everyone knows they’re coming, but few of us have paid much attention. Only now are we starting to think of the questions we want answered. 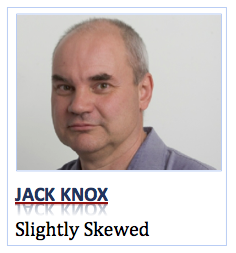 With that in mind, Jack Knox is turning today’s column over to Dr. Bud, who will answer readers’ questions surrounding the looming legalization. When will marijuana become legal? Dried marijuana flower, capsules, tinctures and seeds. Thanks. I’ll have some Doritos. No, really, what about edibles? Health Canada plans to make them legal in a year, around the same time it plans to close the barn door on the horse you see running down the street. Edibles are everywhere, including down the back seat of a car where a Comox Valley child found gummies and OD’d last week. That’s not funny. Online, in a government-run or licensed private store, or from a sketchy guy in Centennial Square. How many stores have been approved in B.C.? One, a government outlet in Kamloops, the Amsterdam of the Interior. Maybe $8 a gram, plus federal excise tax ($1 per gram, or 10 per cent of the retail price, whichever is higher), plus five per cent GST, plus seven per cent B.C. sales tax, plus airfare to Kamloops ($400 return). Where may marijuana be smoked legally? Not anywhere you aren’t allowed to smoke tobacco. Not in a public building, square or patio. Not in a park, not on a beach, not in a rink or pool. Not in a school, schoolyard or on nearby sidewalks or boulevards. Not within seven metres of a window or door. Not in a workplace. Not on a boat. Not at a bus stop, ferry dock, or taxi stand. Not in your rental home. Not in your condo. Not in a box. Not with a fox. The middle of the Johnson Street Bridge, between 3 and 5 a.m. on alternating Wednesdays. Actually, you’ll be allowed to wander around smoking pot in plenty of public places where drinking alcohol is banned. Why? At least beer doesn’t spread secondhand smoke. That’s a question for the cabinet minister in charge, Tommy Chong. How many Baby Boomers will stumble down Douglas Street crazed and naked after smoking a joint for the first time since they bought a $20 lid at a Crowbar concert in 1974? Will it be on YouTube? How long must I refrain from smoking up before going to work? Depends on your job. Air Canada and WestJet pilots: No marijuana consumption at all. Mounties: Not within 28 days of a shift. Members of the military: At least eight hours. The guy in the panel van who blows smoke in Dr. Bud’s face at the same red light every day: Five minutes. That leads to another question: May I smoke in my car? Can you drink in your car? No, don’t be an idiot. Will there be a tomato shortage now that every single greenhouse in B.C. has been given over to pot production? Yes. Within two months, B.C. Bud and beefsteak tomatoes will trade pound for pound. Greek salads will cost $45. Gang wars will break out over the lucrative red pepper trade. Constellation Brands, whose holdings include Corona beer, Robert Mondavi wines and Black Velvet whisky, recently invested another $4 billion US ($73 trillion Cdn) in Canopy Growth, which has approval to build 5.6 million square feet (16 gigajoules Cdn) of marijuana-production facilities across Canada. That increased its stake in the company to 38 per cent from 9.9 per cent. How are Canadians who are still dragging around criminal records for minor pot busts supposed to feel about that? They probably want a drink or something. Did the cannabis industry have input in the new rules? Yes, but it was limited — tokin’ representation. Ha! Ha! Ha! Sometimes Dr. Bud cracks himself up.